The day after Cardinal Pell finished giving his evidence in the Royal Commission from Rome, I spoke to Triple J’s Hack program, which was keen to interview a young Catholic about the hearings that week and the related media coverage. There were two main questions the host wanted answered. Firstly, he wanted to know how a young Catholic might respond to such a scandal. I don’t remember exactly how I answered the question, but I hope I told him that while I don’t presume to speak for all young Catholics, we struggle through this scandal as well. Friends I spoke to found it a difficult week, of course. But they were also plagued with feelings of guilt over finding it difficult because they themselves were not personally affected by the abuse. I think I also told him that while, thankfully, most of this horror occurred before our time, and our involvement with it is more in the form of a scourge we have inherited, young Catholics want to be part of the solution – for the Church and for the victims. We don’t want to be forced to choose between abhorring abuse and loving the Church. Nor do we want to be forced to choose between supporting victims and supporting our leaders. We don’t think that being upset about the appalling way Cardinal Pell is being treated by some in mainstream media and wanting to speak up for him and his record is incompatible with reaching out to the victims. Catholics are being presented with an “either/or” proposition when really we can be and want to be (and must be) “both/and”. What is worse, victims are also being presented with this “either/or” proposition. Consider the way the attendees at the Hotel Quirinale were described in media reports. There were the survivors and their supporters or there were the “clergy and others” who were there to support Cardinal Pell. There was no suggestion that anyone could be there to support both the victims and the cardinal. Instead, it was portrayed that there was a chasm between the two. As young Catholics, we reject this false distinction. We love our Church and we want to reach out to survivors and their families so that they might once again be a part of it; for our sake but also for theirs. That is why we found the meeting between Cardinal Pell and survivors, and the cardinal’s subsequent statement to the media so heartening. It gave us hope that there is indeed a way for the Church and the survivors to work together going forward. A friend messaged me saying that it was proof of the power of prayer. Cardinal Pell had already been operating for six years. However imperfect, I said, the cardinal went public long before others did. The interviewer didn’t buy it, telling me that Cardinal Pell seemed evasive in his answers to the Commission. I commented that I wouldn’t say he was evasive, but careful. I said that I thought it had to do with a solid commitment to the truth, despite him being consistently accused of the opposite. I gave him an example from Thursday’s testimony. 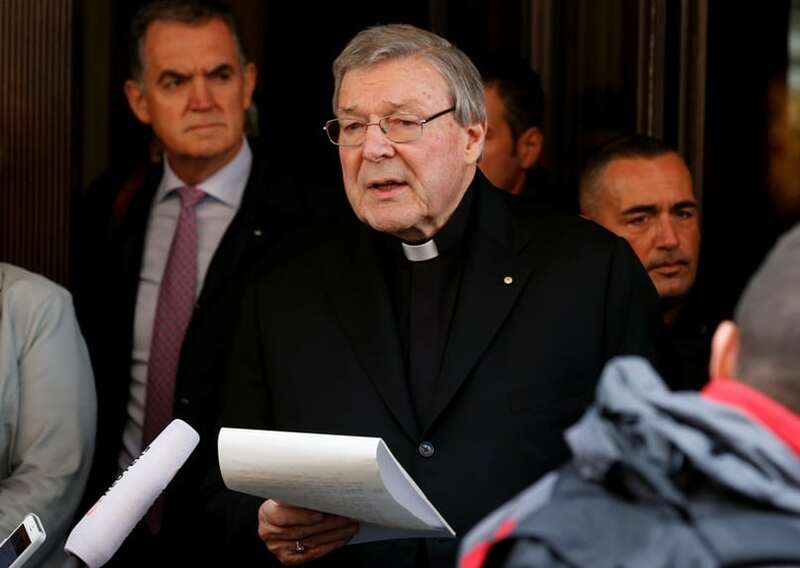 Cassie Serpell, the lawyer for victim Julie Stewart, asked the cardinal a question like: “Do you accept that victims suffer lifelong consequences as a result of abuse?” Cardinal Pell responded that not all of them suffer lifelong consequences, but many of them do. And then I realised that all Cardinal Pell was doing was telling the truth. Yes, many victims do suffer for their whole lives but there are some who are able to find healing. It was important for the cardinal to say this – not only because it was true – but also because there were many survivors listening to the cardinal’s testimony, and it might be important for them to hear that lifelong suffering is not inevitable. The truth in this case might literally set them free. I told the interviewer that as a young Catholic, that gives me great comfort. I said that the Church is in this mess because in the past, we have had leaders who have prioritised the Church’s reputation over truth. I told him that I don’t mind that Cardinal Pell sometimes gives the mainstream media cringeworthy soundbytes because it reminds me that his image isn’t his primary consideration. I’m not sure if he believed me, but it doesn’t matter. Because hopefully I can follow the cardinal’s lead and care more about the truth than about what the listeners thought of me.